Hearing seniors say “I want to go home” over and over again is something Alzheimer’s and dementia caregivers often deal with. It’s especially frustrating to hear when they’re already home. The big question is how to respond in a way that calms them down and helps them let go of the idea. First, it helps to understand why they’re saying this and what they really mean. Next, do your best to not take it personally so you can stay calm too. “I want to go home” is often a request for comfort rather than literally asking to go somewhere. When responding, the goal is to reduce your older adult’s anxiety or fear so they can let go of the idea. Helping them to stay calm also gives you a chance to check if discomfort, pain, or a physical need is causing this behavior. Alzheimer’s and dementia damage the brain and cause a person to experience the world in different ways. The kindest thing to do is meet them where they are, focus on comfort and reassurance, and respond to the emotions behind their request. These suggestions will put you on the right track, but be prepared to get creative too. Not everything you try will work the first time. And even if something works once, it might not work every time. Don’t get discouraged, this will get easier with practice. Approach your older adult with a calm, soothing, and relaxed manner. If you remain calm, they’ll start calming down too. They’ll pick up on your body language and tone of voice and will subconsciously start to match you. Sometimes saying “I want to go home” is how they tell you they’re tense, anxious, scared, or in need of extra comfort. If they like hugs, this is a good time for one. Others may prefer gentle touching or stroking on their arm or shoulder or simply having you sit with them. Another way of giving extra comfort and reassurance is to give them a comforting blanket, therapy doll, or stuffed animal. Don’t try to explain that they’re in their own home, assisted living is now their home, or they moved in with you 3 years ago. Trying to use reason and logic with someone who has a brain disease will only make them more insistent, agitated, and distressed. They won’t be able to process that information and will feel like you’re stopping them from doing something they know is important. Being able to redirect and distract is an effective technique. It’s a skill that improves with practice, so don’t feel discouraged if the first few attempts don’t work perfectly. Agree by saying something like “Ok, we’ll go soon.” or “That’s a good idea. We’ll go as soon as I clean up these dishes.” This calms the situation because you’re not telling them they’re wrong. After agreeing, subtly redirect their attention. This redirection should lead into pleasant and distracting activities that take their minds away from wanting to go home. For example, you could gently take their elbow while saying “Ok, we’ll go soon” and walk down the hall together to a big window or to the kitchen. Point out some of the beautiful birds and flowers outside or offer a snack or drink they like. Later, casually shift to another activity that’s part of their daily routine. Another example is saying “Ok, let’s get your sweater so you won’t be cold when we go outside.” Then, while you’re both walking to get the sweater and chatting about something pleasant, stop for a cup of tea or get involved in an activity they enjoy. Or, ask them to tell you about their home. After a while, guide the conversation to a neutral topic. Asking about their home validates their feelings, encourages them to share positive memories, and distracts them from their original goal of going home. Open questions that encourage them to share their thoughts work well. Your home sounds lovely, tell me more about it. What’s the first thing you’re going to do when you get home? What is your favorite room of the house? Sometimes, your older adult will be stubborn and refuse to let go of the idea of going home no matter how much you try to soothe or redirect. If that happens, you might agree to take them home and then take them on a brief car ride. Experiment with how far and how long you need to drive before you can go back to where they live without protest. Or, suggest a stop at the ice cream shop, drugstore, or grocery store to distract and redirect. If it’s not possible to actually take them out or get into the car, the actions of getting ready to leave can still be soothing because it shows that you believe them and are helping to achieve their goal. Meanwhile, the activities of getting ready give you more chances to distract and redirect to a different activity. It’s been hard for me because my mother refused to move closer to me(1000 miles away) Now she is so angry that she is in a nursing home . She said she will disinherit us. I know part of it is fear but it is so upsetting to hear this. ( don’t argue with her ) We tried to keep her independent as long as we could. It’s wonderful that she’s had such a long and independent life. It sounds like you’ve done as much as you can to help her maintain her independence for as long as possible. It’s natural for her to be upset at this big change in her life. It may take some time for her to adjust. Hopefully, she’ll get used to the new routines soon and come to enjoy her new living space. i am 52 yrs od and live overseas. my mom passed eight yrs previous and i moved back to take care of dad. things were ok till 2014; his health deteriorated rapidly then and all he does ever since is yellin, screaming, calling me (but never my brothers both of whom are married with children and do not bother paying him a visit no matter how much i ask / beg / plead / yell at them to do so). i’ve hired a caretaker but whe excels in med matters she constantly accusing me that i am to blame for dad’s sorry state of being and that in dire contrast with her who’s the closest to perfection. for the past 3 weeks that she was away due to a broken leg i’ve asked around for a pro nurse to come and spend time with dad but everyone fled as for dear life, more so when dad threw his usual temper tantrums. his caregiver did return last week but is now in a rotten mood, worse than before, and i now have to deal with two semicrazies who yell at me. how can keep my mind intact and deal with daily need to go home and that at odd times of the day, at round midnight or siesta time especially??? Does your dad have a dementia diagnosis? It’s possible that his behavior might be due to undiagnosed or untreated cognitive issues. 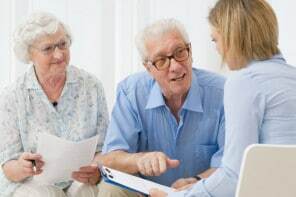 In terms of your hired caregiver, it sounds like it might be helpful to find someone who communicates in a way that helps you as well as providing great care for your dad, rather than causing more stress by behaving in that manner when speaking to you. It sounds a lovely, quiet world you live in. Can we trade? My mom is literally talking about the house (which she picked out and has lived in for 26 years) and geography. In some ways she is highly articulate.But for years now, at varying levels of dementia and even in lucid periods, she insists that this is not her house – she doesn’t recognise it (said for 3 years when nothing had been changed at all), she moved to another state, this is her sister’s house, it isn’t familiar, etc. I can’t just randomly take her out as she is barely mobile enought o get to the bathroom with me halfway carrying her. Not to mention she refuses, point blank, to leaved the house. If I have help to get her out, she comments all the way through her neighborhood about how she used to live here. She’s often worried about needing to pack so she can go home. She expects that wherever home is, everything will be exactly as it is, with her caregiver, yard, doctors, etc. It’s literallly the house! SHe can remember her life over those 26 years, but not the house. Nothing calms her down, and she can;t tell me anything about this other house she thinks she lives in. Or the 2 older sisters I magically acquired a year ago. She just gets more and more agaitated and tells me she’s a prisoner. The mix of logic and lala as surreal. What to do? It sounds like you may need to experiment with different responses and distractions before you find what works well to calm her or help her let go of the idea. It’s great that you’ve tried some different techniques already. Since they didn’t work well, it’s necessary to keep trying other techniques. It’s possible that she’s thinking about her home because she feels agitated or anxious and is seeking comfort, so you could also experiment with ways to help her feel more calm and secure. My mother tells us every day several times that she wants to go home even though she is home (after a few weeks in hospital), in the house where she has lived for 40 years. When I ask where home is, she recites her childhood address. Problem is her childhood was extremely unhappy, as her father was violent towards her mother. If she is ‘living’ in her childhood past, it is a terrible place. Hopefully some of the distraction and redirection suggestions in the article above will also be helpful. Maybe all she wants is her Mommie. I’m 57 and still to this day when I’m sick I hear my self say : I want my Mommie. This is definitely a tough situation, we see so many people with dementia who try their best to hold on to what they used to be able to do safely and easily because of the fear of losing it. It’s a tough adjustment for everyone when there’s so much resistance. If she’s the type of person who listens to authority figures, it may be helpful to have her doctor tell her that this is necessary and that they want you to take over her medication management to keep her safe. It’s also possible that she’ll never believe that she’s not capable of doing this for herself no matter what anyone says. You could try different creative strategies like giving her medications back, but substituting everything with harmless candy like Tic Tacs or the tiny size of M&Ms. I’d suggest removing the ibuprofen as well, that can still cause significant negative side effects if taken improperly. With her harmless “medications,” she can take them when she thinks she should and it won’t hurt her health (assuming she’s not diabetic). Then, you can keep her real medications and give them to her when the time is right. You could have the doctor help by saying that there’s one medication that will be better for you to help with. This may seem odd, but letting her feel like she’s in control of almost everything may help her be more ok with you helping with medication. You may also be able to use her impairment with short term memory to your advantage. Keep the interaction pleasant and tell her just this one time that you need to give her this one pill (which is her regular medication) because the doctor called and asked you to. If she doesn’t remember, you could say that every time and it would still seem like a one-off situation to her. That way, it’s not like you’re permanently taking over her medication. It may take some creative thinking and patient experimentation before you find something that works. It’s definitely possible that someone would be thinking about a home from another time. Great tips to help them enjoy their current reality and keep them feeling secure and comfortable while reminiscing. yes, very truth, thanks! last Sat, i had a conversation with some elderly. As they want to know how i do in my first semester back to school. I begin to share with them it’s very helpful to learn the right way to write and speak. My writing class is very creative, the teacher told us to write our journey, each day in the classroom, she has 10 questions for us and let us choose one of them to write a journey. It’s about our childhood memory, about our favorite movie, about our favorite holidays, about if there is one wish I can make, what would my wish be. That’s a good opening to get to know each other Then GOD grants me a wisdom why not ask the elderly to share about their childhood memories, about their favorite holiday and their wish. Guess what? I surprised, two of them said they want the LORD to take them home. We had a good one hour sharing in that moment as they can participate with my homework to share about their journey. I work at nursing home as an activity aide, and deals with dementia elderly and wheel chair elderly. I’m so sorry this is happening 🙁 You’re absolutely right, it can be completely different when the situation is personal 💔 So many former nurses have said the same thing. It sounds like the moves to the hospital and to the new ALF may have been disorienting. Dementia symptoms can definitely worsen after trauma or a move because she may be feeling scared or confused. Plus, there could be some hospital-induced delirium involved too. In case you haven’t already checked for this, could it be possible that she’s in pain or discomfort related to her hospitalization? People with dementia often can’t communicate pain, but it can cause them to act out in unpredictable ways. Discomfort from constipation can also cause challenging behavior. You are exactly right! Im a CNA and work with Alzheimer’s. LOVE MY JOB! My mom is in a nursing home with dementia, I have such a hard time visiting her. Quilt. I try my best comfort my residents family. They tell me I’m their angel.. inside if feel the devil because I’m not there for my own mother. Hello! What an excellent article! I work for a home care company and we have a monthly newsletter for our clients (many who have dementia), their families and our caregiver. Do you allow your articles to be reprinted with credits/sources? I think this article would be so helpful to so many that I work with! Please email me if you don’t mind. Thank you so much! I’m so glad I found your page! Thanks Allison! So glad our articles are helpful! We’ll email you. So glad these suggestions are helpful! I wish I had read this when my mum was living with me. It is so helpful. Mum often asked to go home and would go to the front door with her coat on. Eventually, by trial and error, I learned the distraction technique, but I am sorry now that I spent a long time trying to tell her that she was home. She is 97 now and in a care home where she is well looked after. These ideas are terrible and demeaning. The dementia patient gets their hopes up and all you are doing is lying. Just sit with them. They can ask all they want about going home and you have to a lot more patient and creative in your answers. You can agree with them and say that where they are is not home but that they are safe and comfortable. As you suggested, agreeing and going along with what they’re saying works for many. Each caregiver does their best to tailor responses to be kind, compassionate, and soothing. But each person with dementia is different and responds differently to various responses. What works well for one person may not work for another — some people may refuse to be comforted unless they hear what they want to hear (which would be a lie). Dementia care is such a tough job, any kind options that soothe the person with dementia shouldn’t be ruled out. My mom lives with me, and she is 82 with moderate to advanced Alzheimer’s. She goes to Adult Daycare M – F. As of late she insists they’re open on Saturday and Sunday (she: Maureen) has no idea what day it is or what month it is. What I do is adjust, I don’t argue, we take a ride to the Senior Center on Saturday ( I know they’re closed ), when there, Maureen walks up to the locked doors, then we get back in the car. Once back home: 10 minutes later she insists on going back there again. The last time this happened I suggested we get some flowers for dad’s grave (which we already did the week before Memorial Day) we go, she picks out a plant ( some say so ), at the cemetery I plant, while she watches me from the car with a smile on her face. Point is, stay calm, adjust, and redirect. I’m sorry to differ…but it does not work that way…..It is not demeaning, it really works. …not 100% , but most times. It is very difficult for caregivers to listen to your loved ones who are unable to recognise the family, always tense and aggressive. Thank you for the share. Brought back memories. ..
Wrong! Your experience that may have worked well but not for a majority! If you have a completely agitated delusional family member nothing works! It’s not always easy to redirect someone who has dementia. And helping someone with dementia feel safe, secure, and calm can often take an all-around approach where you create a calm environment, make sure pain, physical needs, or discomfort is taken care of, and find engaging activities to give a sense of purpose and accomplishment. Taking these approaches can significantly reduce symptoms of agitation. And for some people, the damage that dementia has caused creates such a high level of anxiety or agitation. In these cases, having a qualified doctor carefully experiment with behavioral medication can improve quality of life for them and their family. I absolutely agree. I worked in a retirement home for 10 plus years and even though these people have Alzheimer’s, they are not stupid. They have a right to a valid answer. If you don’t give them a valid answer and keep making up stuff they are just going to keep repeating the question until they are satisfied that you understand their problem. That does not mean being bluntly cruel, you can still soften it or shorten it. I know you want your mother, but she can’t pick you up now shortens it. And, it is true. Your mother can’t pick you up now and it is getting close to dinner. Let us get ready for dinner. Your friend (name other resident they like) will be waiting for you there and wants to sit by you. Lets go get ready. That is the biggest thing. Yes, their brain is not working correctly, but they are not stupid and they will see right through your lies. I am 80 years old, Yes, I want to go home. I can see that you do not know what that means. That is a vision of OUR Spiritual Home, where we came from , where we will return to when this life is over. I get visions in my dreams of what that place will be. Why would I not want to go there? Why are you you afraid to recognize that there is a wonderful life that awaits us after our sojourn on this earth. Yes, I want to go home, my true home. where I originally came from. That is a very informative description from someone with full blown altzheimers here, especially remembering where each single letter is on the keyboard to make a post, my mother has this terrible onset, she is 74, and there is no way at all at this time that she can even barely get out a full sentence that most of the time she can get across to us what she is trying to tell us, and yes she does say all the time that she wants to go home and i really appreciate the ideas here to try to help us help her make her journey as comfortable as possible. I have seen only 2 that i can think of, moments of clarity so far within the past year. So forgive me for being kinda strait forward, but if my mother could sit down and type out a lengthy paragraph to me about us lying to her, i would be overjoyed to see that she has either come back, or just has a very small touch of altzheimers. This is the craziest thing i have ever witnessed, especially with my mother. Very good suggestions. However, can you get away from the idea that everyone with dementia must be “older” or “senior”? My 63 year old husband has Alzheimer’s. He started showing signs at 57. It’s possible that he may not live long enough to become a “senior”! I’m so sorry to hear about your husband Elaine. You make a good point, there are many people who have early-onset Alzheimer’s or develop dementia at an earlier age. All are welcome in our caregiving community. We use “older adult” in our writing because the majority of people with dementia are older than 65 and because we focus on issues that are common in seniors. However, our tips and information can be used by anyone at any age. This only works for people that have Alzheimer’s & can be thrown off. People that have first stage dementia convince themselves so well they’ll will have you thinking they’re in the wrong place. Unfortunately a lot of families suggest things like this & the signs clearly show the severity of the condition is beyond redirecting. Most families do nothing but bandage dementia & Alzheimer’s until the person becomes combative when theyve had every opportunity & more than enough time to do something. I’m a caregiver & it’s disheartening that families avoid medicating because they don’t want a family member to be groggy & comfortable. I’d much rather for mine to be medicated instead of stressed, depressed & angry. To me that’s abuse when you’re the only person that can get them help but refuse because of your personal feeling about medication. It’s rare that people with Dementia & Alzheimer’s aren’t medicated. I’ve personally never seen a case. However the wrong medication is sometimes worse than none. Before using behavioral medications, it’s important to explore all the possible reasons for the challenging behavior. Something that’s often overlooked is under-treated pain in people with dementia. Older adults often suffer from aches and pain caused by their health conditions, sometimes quite severe. Being in pain can make someone angry, combative, or agitated. But dementia prevents them from clearly expressing what’s wrong. These people are often treated with sedating behavioral medications that subdue them, but don’t relieve their pain. Then on the outside it looks like they’re fine, but they’re actually still suffering from constant pain. That’s not a situation that any caregiver would wish on their older adult. When nothing works to reduce an older adult’s agitation, anger, or other signs of discomfort or unhappiness, then it’s definitely a good idea to explore medication. Working with a doctor who is experienced in treating dementia patients is essential. Many medications can make symptoms worse, so it’s important to be careful and start slowly with low dosages until the right balance is found. i truely hope to become as good as you , my lady repeats and repeats. You have helped me to find a direction to work in . I’m so glad this article is helpful. I hope some of our suggestions work. I used to tell my mom that as soon as she made her flight arrangements that I’d be glad to take her to the airport. Then I’d show her her favorite YouTube video, Breakfast at Ginger’s, and she’d forget about it. My mother was moved from her home of 30 years in Orlando. She says my cousin told her it will be a 2 week visit to her hometown (her hometown has inmensily change which is something she dislikes because she wishes to drive ) in Puerto Rico. She insists on going back to Orlando. She knows where she is – a house rented for her so she knows her home is back in Orlando. She has come up with many reasons why she needs to go back to her home. Like she wants to take out the lady renting it with a buying option because she no longer wants to sell it to her. Etc. She said she needs to go home because she wants to sell the house to this other woman. Etc. She needs to go back because if the house is empty she will have to pay more taxes (it has been empty several months because the woman living it with rent and buying option finally got tired of my mother calling her to tell her to leave the house and pay the money she owes (for real) my mother. And the woman my mother wanted to sell the house to didn’t qualify for the lpan . Then she said that woman wanted to rent since she couldn’t buy it but would only rent it if my mother went in person to Orlando. Then my mother said she needs to go to Orlando because it needs to be inspected but she has a handyman there that can take care of it. Now that it is inspected she says she has to go to Orlando because she has to deal with the repairs with the handyman. And now that she knows there is a possible buyer that will buy it “as is”, that the buyer will do the repairs she says she has to go to Orlando to sign the buying contract with the buyer and the bank and the realtor. Also says that she needs to go to Orlando because she has to inform the municipality that she relocated. She is in the beginin of Alzheimer and she presents some of the symptoms but all of the reason she gives for which she wants to go back to Orlando are real. It isn’t necessary that she go but the reasons are real. Reasons that now a day with technology one can do a lot of things been far from the place. Or that the handyman can take care of. She is not saying she wants to go to her house, her home of 30 years because she is not aware of the place she is at. And we can’t tell her “yes I’ll take you there as soon as I’m done with the dishes”. Because she knows it entiles buying ticktes etc. Since my sister and I tell her she can’t go because she can’t be by herself she has asked a lot of people to take her and offered them money for the work ( to buy tickets and fly with her). And since she has aks my sister and I to take her and we say no (we LIVE in PR and all of our lives. She also lived here untl she moved to Orlando 30 years ago.) she has told us several times that since we don’t take her we will be surprised one of this days because someone will help her go back to Orlando. I have the feeling that she wants to live in the house she lived for 30 years, that she was brought to Puerto Rico with the offer to stay fo a while and then go back to her house and home and she wants to have that offer. So I don’t know how to deal with her requests of going back to her home. What, how you think we can do in this situation? Thank you. I’m so sorry that you and your sister are struggling with this. This type of behavior is common in people with Alzheimer’s or dementia. Change can be difficult and upsetting, which might be why she’s so set on going home, where everything is familiar. This is a phase that your mom is going through. Since she’s in the early stages, it’s especially difficult because her brain is in good enough shape to know that scary changes are happening. That often causes more acting-out behavior. She may also feel embarrassed about what’s happening to her. Right now, you and your sister can see the changes, but if she’s alone in Orlando, nobody will see her struggle. She may also feel like she’s a burden to you both. Another thing is to make her feel useful and like she has a purpose. Keep her occupied with activities where she can be successful — like folding laundry, putting dishes away, and other simple chores. Make sure they’re ones that are easy for her to accomplish, you can discreetly watch to see if she’s struggling or not. You can always simplify by giving her only one type of thing to fold at a time, like towels that are the same size. Another example would be to give her responsibility for something like a garden that she’d have to water every day. The point is to make her feel needed and successful. Her execution of the task is not important. If she’s not doing the task well, thank her as if she did a great job and then fix it without her knowing. When she brings up moving back to Orlando, try to validate her feelings and then distract her with a change of subject. This may be really tough, but hang in there. Try different approaches to see what works best. When she talks about her Orlando house, you could say “Mom, I know how much you miss it there. What was your favorite thing about living there?” When she says her favorite thing, start talking about that thing. Then, you can slowly turn the subject to something related to that thing, which now becomes a totally different subject from moving back. You’re not saying that she’s moving back, but you’re acknowledging how she’s feeling about the situation and getting her to talk about it. That might be enough for the moment to allow her to move on to another subject or activity. If not, try different ways of validating her feelings and slowly changing the subject. 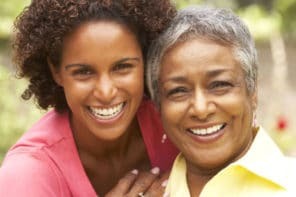 Another thing you can do is call the Alzheimer’s Association in Puerto Rico (http://www.alzheimerpr.com/) and ask for advice and referrals to local resources. Maybe something like a day program would help keep your mom occupied and let her make new friends. Think creatively and be open to trying new things, even if you think your mom might not like them at first. Best of luck in this! It’s tough, but you will get through it! My Mother-who has this horrific desease-lives with me, and my Father also. She is asking to go home a lot. I do try to calm her, try to Re- Direct her, sooth her etc..however my Father gets irritated with her and says things like ‘quit asking that!’ ‘we are home’s Sit Down! !’ then she starts crying and for some reason turns her anger towards me, telling me to go, that I (me) don’t need to be here. My Dad has always been a know it all, will not listen to what we need to do..try to ‘Train’ her at tasks, then he gets mad when she cannot comply. They live in my home, I am their sole caregiver. My Father has managed to alienate everyone because of his ongoing bad behavior (this behavior has been around all my life…he is on meds for bi polar behavior diagnosed just 4 years ago). Has anyone dealt with anything like this?? He is 80, she is 76 and in her 8th year of Alzheimer’s. She does not know anyone anymore. It’s hard because I can’t have company over or go out much as I cannot have any help in because his behavior is so inappropriate. I am so sorry to hear this. It’s a really tough situation. Would you be able to get further treatment for your father’s mood and behavior issues? Perhaps his medications need to be evaluated. You may want to see if there’s a geriatric psychiatrist in your area. Visit this page http://gmhfonline.org/ and click the “Find a Geriatric Psychiatrist” button in the horizontal menu. You may also want to contact the Alzheimer’s Association to see if they can offer advice on how to deal with this situation. I’m sure this issue comes up for many families. Go to http://www.alz.org/ online or use the 24/7 Helpline at 1-800-272-3900. I would also encourage you to keep looking for help. You need and deserve to get some time off. It will be more difficult to find someone who’s willing and able to handle the situation, but it’s not impossible. Be upfront about your father’s behavior so they’ll know what they’re signing up for. Sometimes it’s easier for an outsider to have a thick skin because it’s not their family member who is saying the hurtful or inappropriate things. My mother has alzaheimer , I send her Monday to Saturday to a day care, is the best decision I have done, she love it !!!!! That’s wonderful Dora! An adult day program is fun for your mother and a great way for you to get time to work or take care of other important matters during the day. My husband was diagnosed 7 year’s ago with Alzheimer, his early years was really bad, his behavior was almost too much for me to handle, he was combative everyday this lasted about 2 years , finally medication did help him relax, i had to have my adult son move back in because i was afraid of him, now 5 year’s later he is like a teddy bear, so pleasant. Thank God for this personality change. He only takes meds to sleep. Our 7th year with this horrible disease, it’s definitely the long goodbye, he’s totally someone that use to be a lively beautiful person lost now to Alzheimer. What Meds he take to help with sleep. Isnt the best answer to say to someone that has ALZ disease that the home that they re in is that they re already home!!! The reason why I’m asking is Ur love ones think in the past ;when they were kids;so isn t best to say ;THIS Is UR Home so they don t dwell on their past !!! Can t someone with ALZ disease see through the B.S. even though they ve got ALZ? I blong to (2) ALZ support groups & this is what we talk about @ the ALZ support group meetings? People with ALZ don t have their short term memory but their long -term memory is still intact!!! It’s true that generally Alzheimer’s causes short-term memory loss and long-term memories hang around longer. Every person with Alzheimer’s is different, but what we often hear is that as the disease progresses, more and more long-term memories are lost too. Like I said in my previous answer, Alzheimer’s is not something that the person can control. That’s like saying someone with diabetes should be able to control their insulin and make it work when they want to. That’s not possible. And it’s often not possible for someone with Alzheimer’s to use logic and reason like they used to. It also causes problems with language — they may be thinking of something that’s completely correct, but because of the disease, the words get scrambled when they come out of their mouth and you can’t understand them. Especially in earlier stages, many people with Alzheimer’s can have good moments along with the bad. That doesn’t mean that they’re not still affected by the disease or that they have control over when these good moments happen. Alzheimer’s and other dementias are diseases that damage parts of the brain. That means that someone with this disease is no longer able to use their brain as a healthy person would. One way to think of it is to compare it to something like diabetes. With diabetes, the body has trouble with insulin and because of that, they can no longer process sugars properly. Trying to ask someone with dementia to use their brain like a healthy person is like asking someone with diabetes to process sugar like a healthy person. It’s just not possible. So, when you use logic and reason to tell someone with Alzheimer’s that they are already in their home, it confuses and upsets them because that’s not what their brain is telling them. And, it’s difficult for their brain to process the logical reasoning that you’re telling them. This usually causes them to be angry, anxious, scared, sad, and a range of other negative emotions. That’s why it’s best to validate what the person believes. You don’t have to agree with them, but it’s important not to disagree with them. Try some of the suggestions in this article to see if they can improve the situation. It may take a little time for you to practice this technique and figure out what responses work well. Not true, short term and long term all goes after awhile. Time means nothing to them. My mom has lived in her house for 50 years but still thinks it’s not her home. When I asked her where she lives she says …rocton. I tell her over and over that she is home. She finally accepts that. Then it starts all over again the next day. ….I do explain how she lived in rocton when she was young but she got married and has lived here ever since. I always explain. Hopefully the explanation works well and doesn’t cause her to get upset or for you to be frustrated by the repetition. In case it does, the suggestions mentioned in the above article might help you validate how she’s feeling and redirect her to pleasant activities. For a long time, my grandma who was admitted in a caregiving home insisted that she wants to go home. And yes, not our home but our home up in the heaven. Thanks for sharing this one! My patients do say they want to go to heaven! I told her it was okay when ever the lord was ready for you. That’s a wonderful response Debbie. Your patients may not even mean heaven as we would typically think of it. But regardless, I’m sure they feel good when they hear your warm and reassuring response. I think when they say they want to go home, they mean their Heavenly Home!! I have seen this a loot!! Very true, Sharon! That’s definitely possible for those who have religious or spiritual beliefs.